Over the last two posts you learned the basics and those curious learned how I use these tools for my mental health. Now we’re diving into areas of faith. 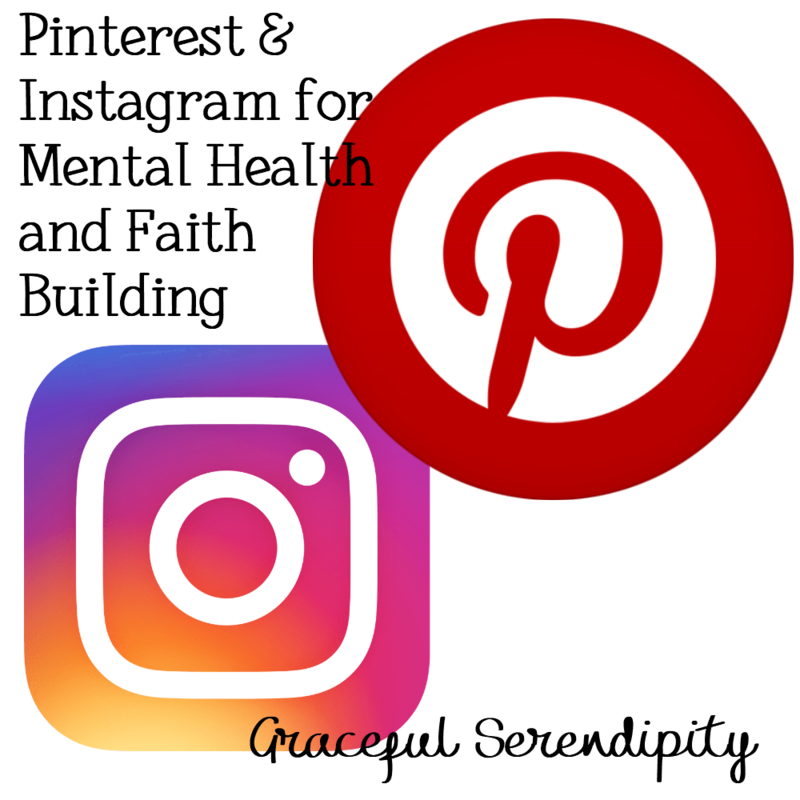 Today, we discuss how I’ve used Pinterest and Instagram to help me grow in my faith and build me up to the be the Catholic woman God desires. It’s truthfully, a bumpy ride, but I hope these ideas serve you in the best way possible. How Does Pinterest and God correlate? 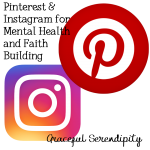 To many of my fellow Catholics, the thought of finding God in Pinterest or Instagram sounds absurd. These tips are not meant to be done in lieu of attending mass or praying. Rather, they are a compass that can guide you towards your proper destination. Other times, I feel it necessary to simply brush up on basics and remind myself about how my faith works in the world at large. With many people decreeing the faith as nothing more than an angry bigoted mob, it becomes essential to truly immerse ourselves in the basics. While, we shouldn’t get into online arguments with trolls, knowing how our faith functions in simplistic terms can help us when questioned by those being called to return to Christ and those wayward souls who will do anything to prove God is not real. No matter the topic, Pinterest has it covered. 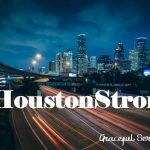 You will become familiar with Christian men and women seeking and giving advice on what it takes to create strong marriages, prayer guidance, and help when faith wavers during times of crisis. You’ll find a plethora of articles from both a Catholic and Protestant perspective. I’ve found most of these articles to be extremely helpful. Whenever you come across a pin that is misleading, you’ll feel it in your gut. Or better yet, ask the Holy Spirit for guidance when discerning a pin. Pinterest is most effective with religion when you have specific goals in mind. To that end I use it to help with my struggles and to learn fundamentals. When I seek out specific texts, articles, and verses, I will always find the perfect pin. I’m more likely to pin a useless picture when I am not specifically in need of something. (And possibly killing time or being lazy if you suddenly see 30+ unrelated pins in your news feed.) Within my board Graceful Serendipity, I have several sections meant to help me and my readers. Highlighted below are the Graceful Serendipity sections that have most inspired me. I like this board, because it tends to reflect my mood and needs at the current moment. At times when I’m searching for something in particular- a bible verse will stand out so much, I have to pin it. During those moments I feel the message of that pin is meant to help another. Whether the bible verses deal with having faith, answered prayers, or believing in Him they always speak to me. This is one of my smallest sections. I love this particular section, because it has artwork of La Virgen, that speak to me. She’s a misunderstood figure, tossed aside by some Christians as a “Catholic feminine deity”. My relationship with her is both complex and simple, because she is a mother. The drawing of her with Eve started the board. It’s a reminder of hope, the past, and what is to come. 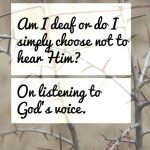 A dreamer’s collection of uplifting quotes about faith, God, and the role He plays in our lives. I happen to be impressed each time I find a quote or saying that best sums up the faith or God through the eyes of a layperson. While saints, God, and the bible have beautiful verses to meditate on, these quotes are lovely for their simplicity. Possibly, one of my favorite sections. 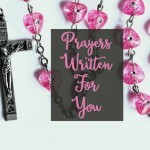 There are prayers for every need imaginable from marriage woes to seeking God’s forgiveness. I have used several of these prayers myself. I am constantly attempting to improve my prayer life and this board becomes helpful as it helps give me direction for prayers. I like the specificity of the prayers and the length as it is something I can fit into my schedule. My thinking is that if I cannot take the time to pray a short prayer found on Pinterest, then my priorities need to improve. While Facebook is a good source for Christian based news and support groups that grapple with serious issues it can lead to a sort of melancholy after a while. I’ve seen some non-Christian based groups dealing with a school district delve into dysfunction after group members attack one another. The faith based groups on Facebook have their own unique challenges, but for my own mental health there are times I cannot be sucked into the negativity and despair of others. These groups offer a positive and safe space, which is what each of these individuals deserve, but everyone needs the chance to disconnect and reflect on what is going well in their own lives. Otherwise, we will be prone to depressive moods that help no one, not even the group member seeking guidance. Instagram has been a source of community as I have come to know various Catholic women who are simply amazing. Due to the uplifting positive nature of Instagram I tend to find similar users. Whereas its easy to lose sight of a member on Facebook, Instagram gives you instant access to users, which makes for an easier connection instead. Some of my favorite Instagram users are affiliated with Catholic websites. They bring a lot to the table when it comes to prayer and community. I don’t believe I would have found many of these sites, like Blessed is She, The Catholic Woman, or Young Modern Catholic without Instagram. Whether it’s a cute little post, a thought provoking video, or inspirational faith quote, Instagram serves my needs. This platform has brought community, positivity, and a genuine interest into how the Catholic world fits into the social media world at large. Truthfully, I want you to do what’s best for you and your faith life. If Facebook groups have brought you closer to God, then continue and grow. For everyone else, you may need to tinker with these social media sites a bit, until you find a firm balance between devotion and distraction. (I admit I even get sucked to the Pinterest wormhole.) Also, don’t fret if you don’t instantly make friends or find a community. It takes time, but it can happen. I want you to do what’s best for you. Pray to God. Ask for his guidance and be amazed at how he directs you to exactly where you need to be.